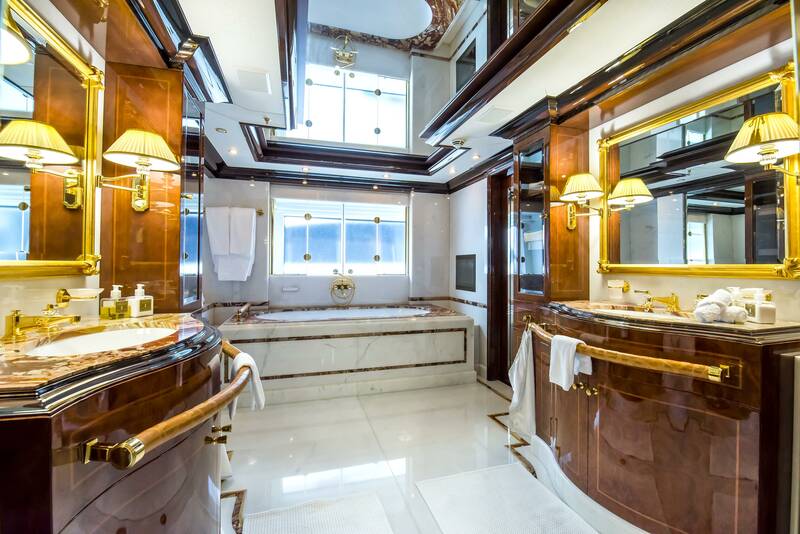 Luxury yacht BASH (ex ULYSSES, NERO) was built and launched by well renowned Benetti in 2012 and features exterior design by Stefano Natucci. 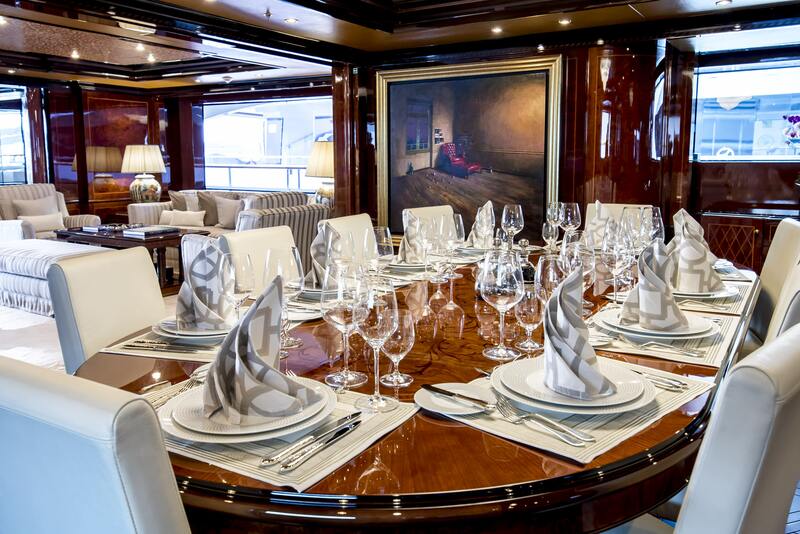 This sleek yacht measures 56 meters (183.9ft), can accommodate up to twelve charter guests in six deluxe staterooms. 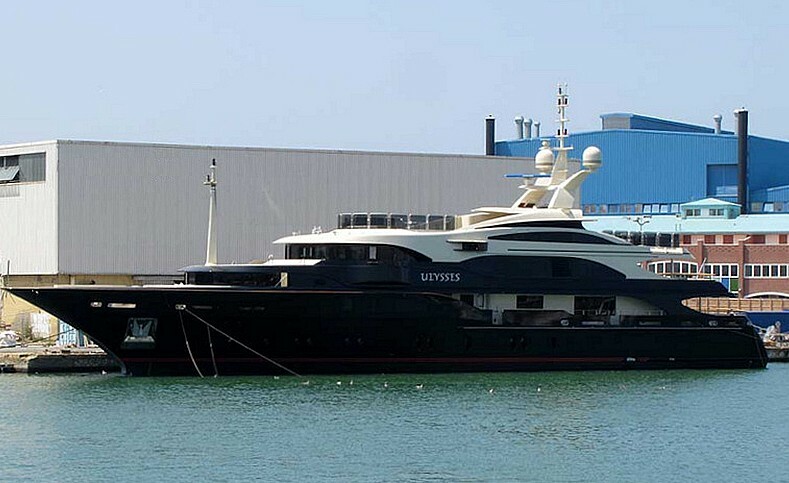 She is serviced by a highly-professional crew of 13. 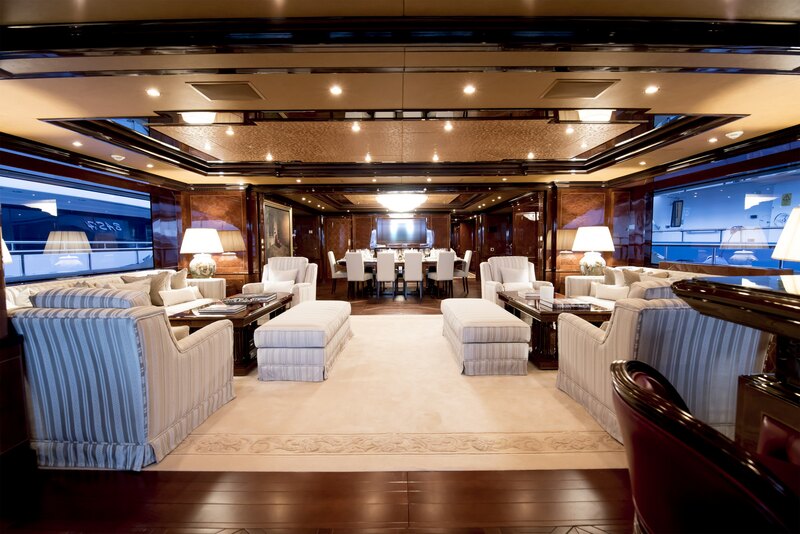 BASH boasts a timeless exterior look, with a dark hull, and a cream coloured superstructure. 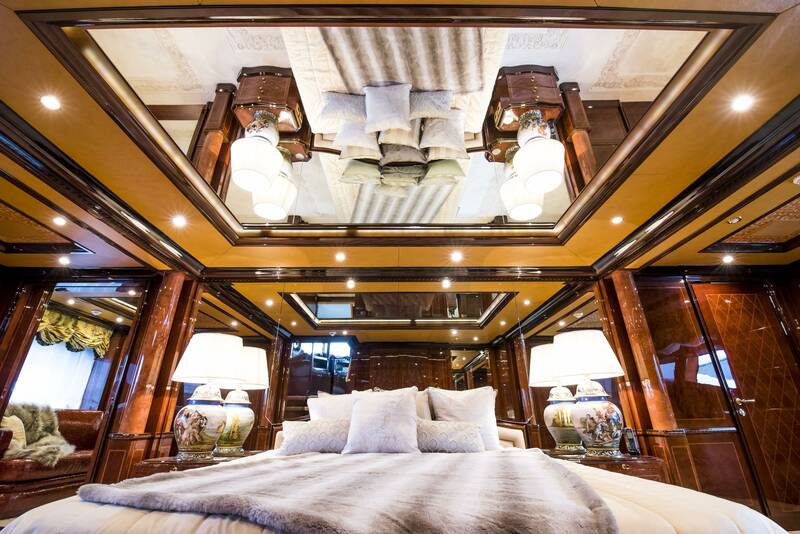 The yacht’s exterior design was designed by Stefano Natucci with naval architecture by Benetti's in-house team. 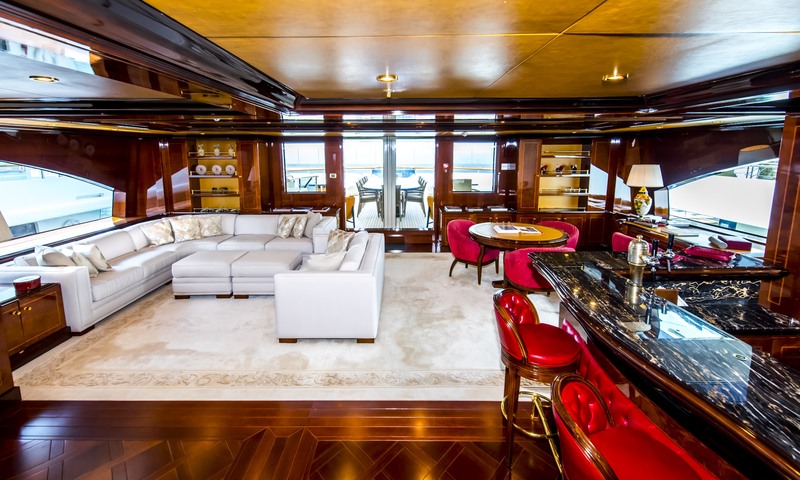 Motor yacht BASH exudes a classy and regal interior with traditional style soft furnishings in red and gold, fine warm woods, while plush white carpeting gives the space a uniquely elegant atmosphere. 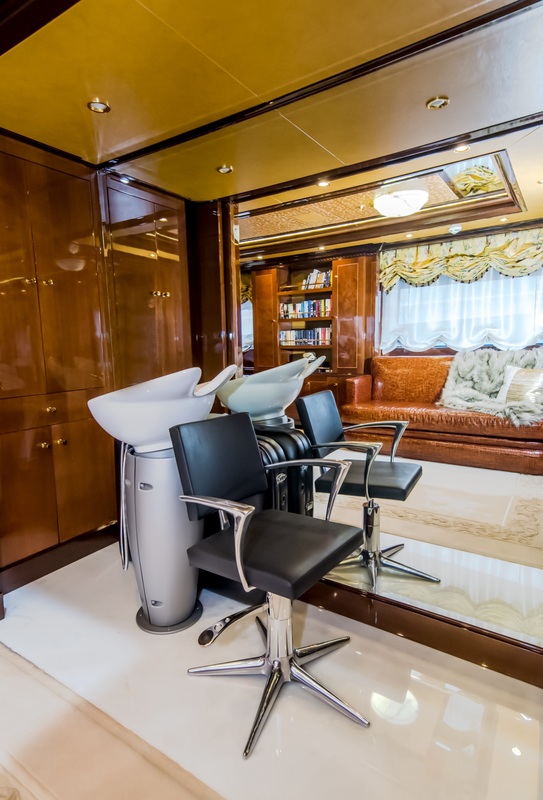 The salon boasts a Steinway & Sons grand piano from 1900, luxurious cocktail bar and state of the art entertainment including a numerical control allowing the piano to play Tchaikovsky or Chopin, without having a virtuoso onboard. 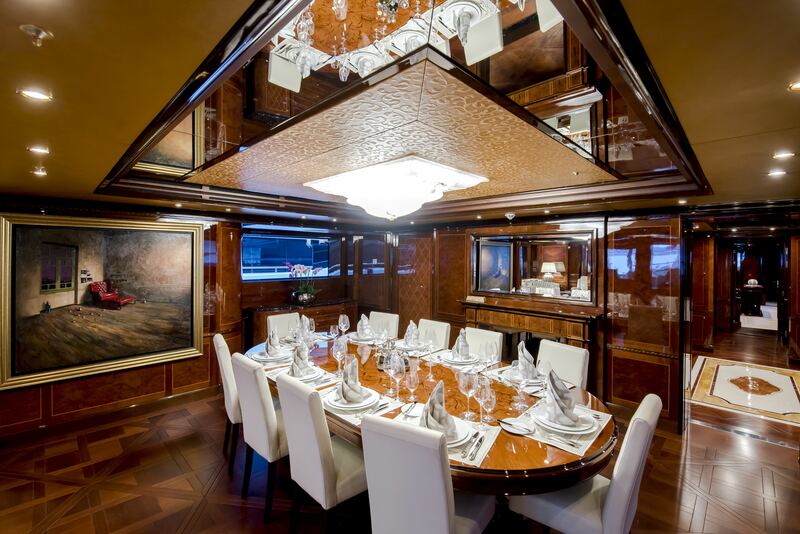 The formal dining space is forward and features an impressive oval table for 12 with a chandelier above and exquisite wood floors. 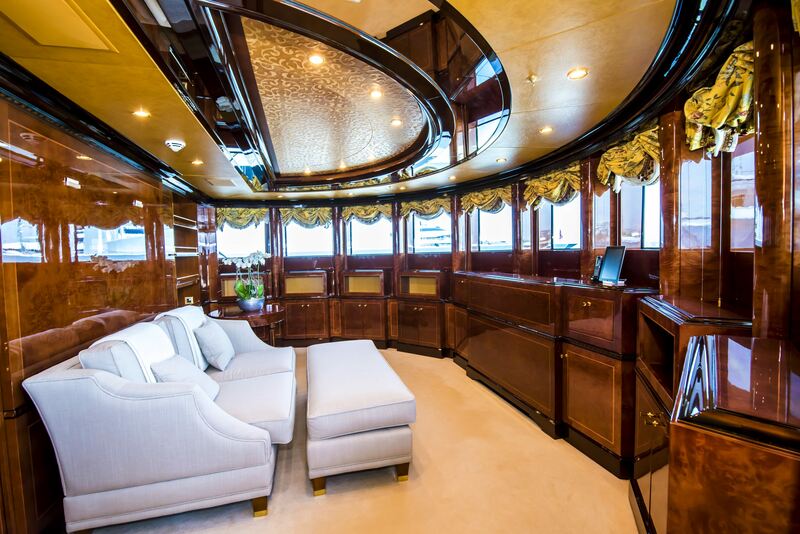 The upper deck continues the flow of imperial furnishings and offers sofas, a full wet bar and additional cocktail seating. 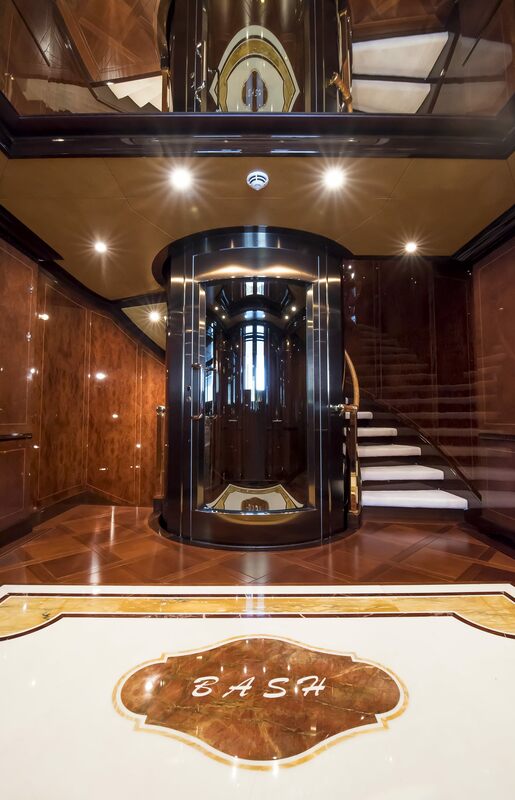 An interior elevator makes access to all decks quick and easy. 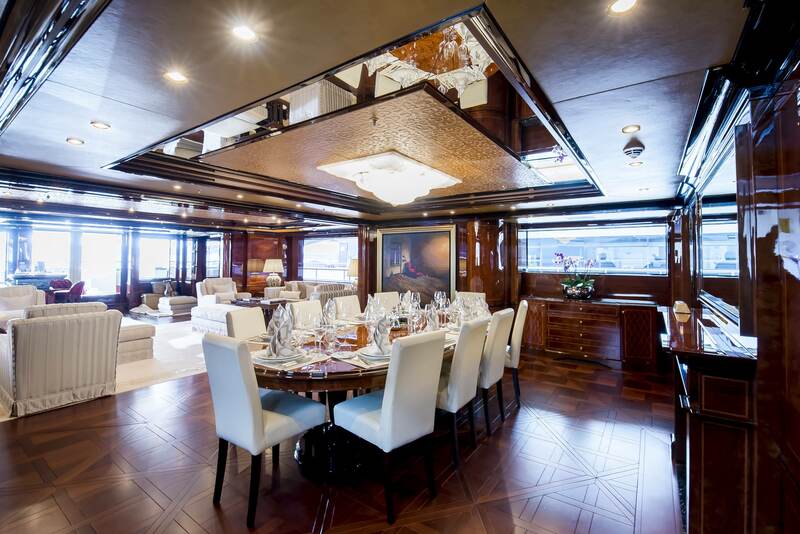 Superyacht BASH offers guests ample exterior living areas; the aft deck is large offering shaded lounge seating on a massive sofa with cocktail tables, stairs from the aft deck curve up to the upper aft deck where there is an alfresco dining option and lounge seating. 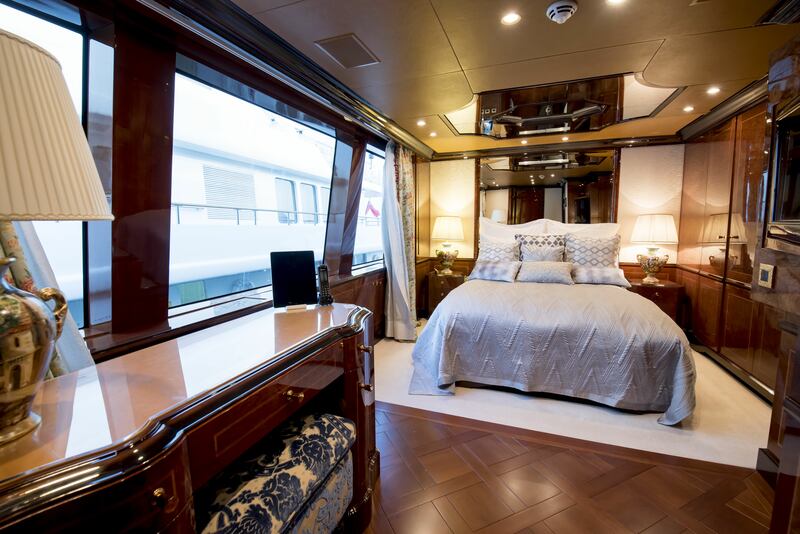 A sun deck on the third deck offers guests a more laid back atmosphere with chaise lounges, a marble alfresco dining option, full wet bar complete with beer tap, pizza oven, large screen TV, Spa Pool tub and 2 massive sun pads. 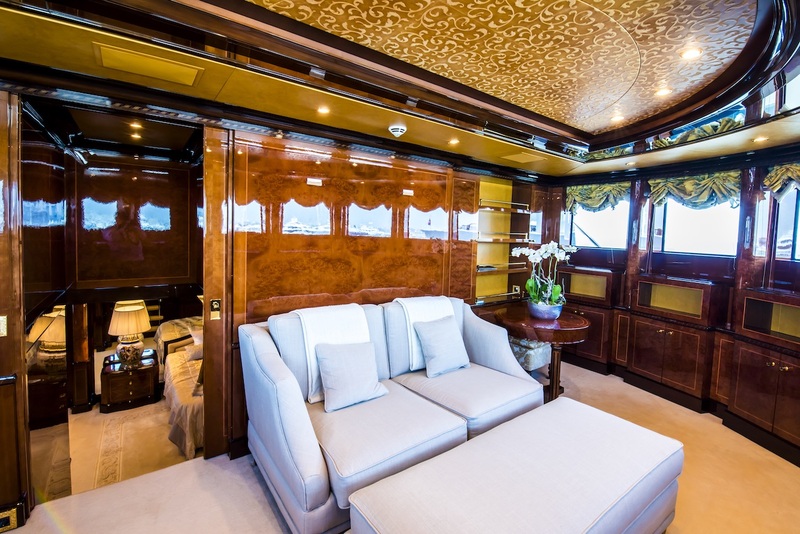 She boasts a teak beach on her fold-down transom. 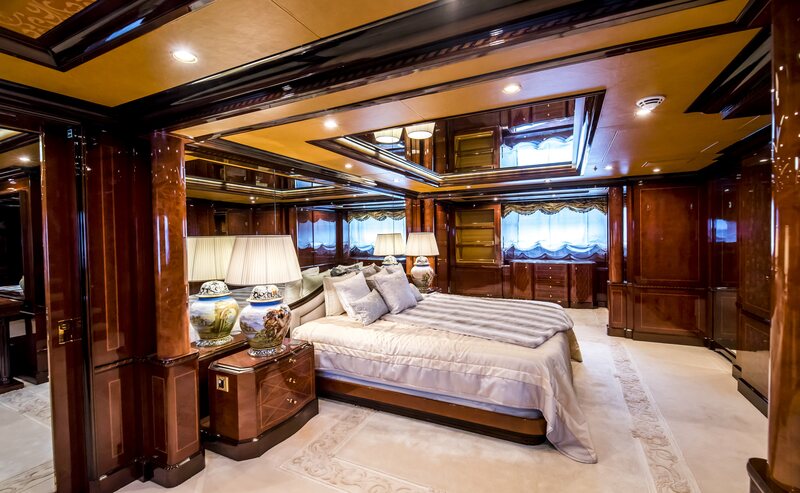 Charter yacht BASH has a beam of 10.40m (34.1ft) and draft of 3.8m (12'6") the yacht cruises at 15 knots and is fitted with 2 x Caterpillar 3512 B diesel engines. 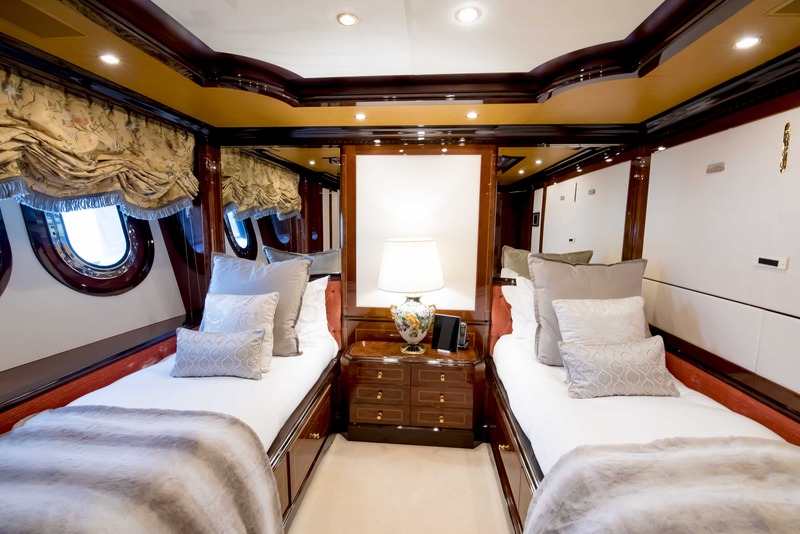 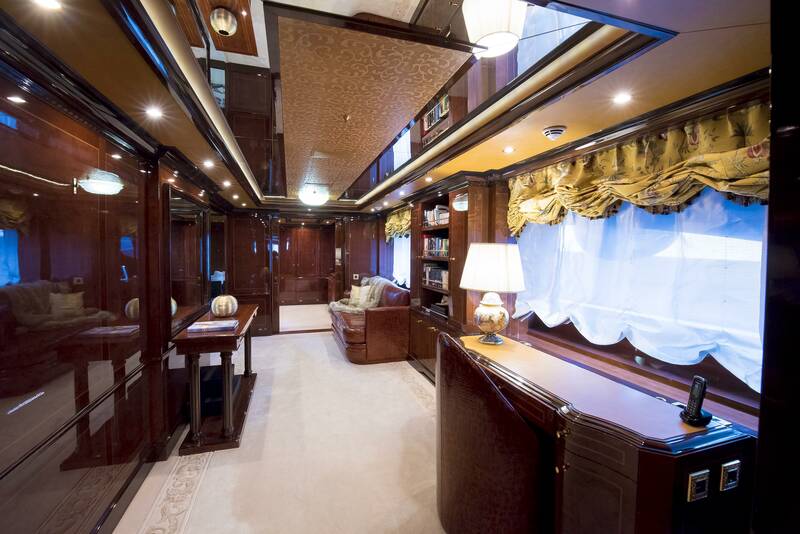 Luxury Motor Yacht accommodates 12 guests in 6 staterooms. 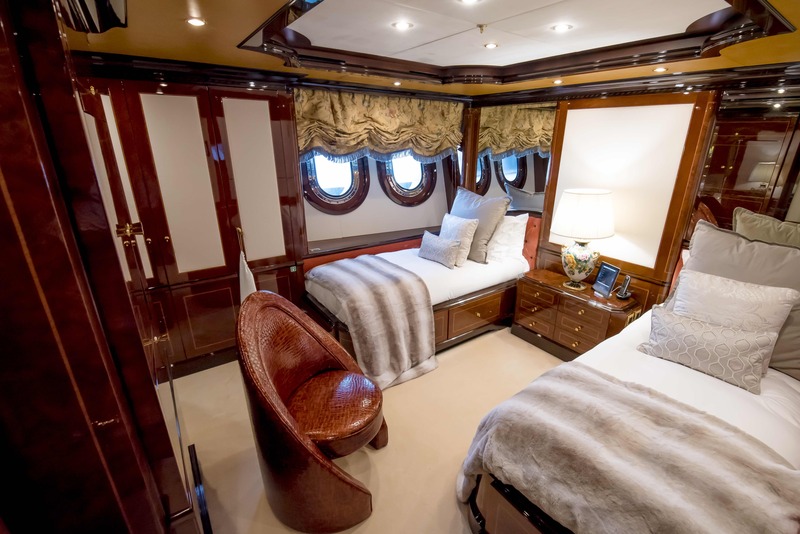 The Master Suite is located on the main deck and features an office, a hairdressing salon, a bedroom, en-suite facilities with bath and steam room, plus a forward facing private observation lounge. 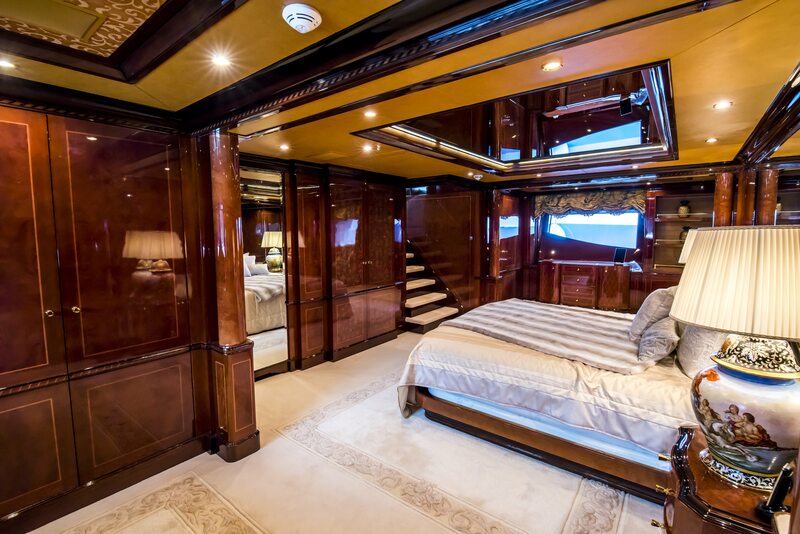 The VIP Stateroom is located on the upper deck, starboard, and offers queen size bed and a panoramic view of the sea. 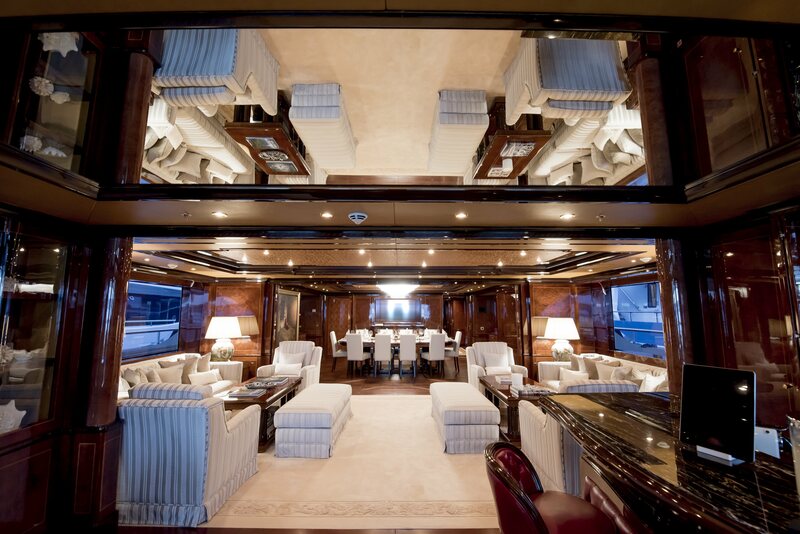 The 4 remaining staterooms are located on the lower deck and are divided into two twins and two doubles. 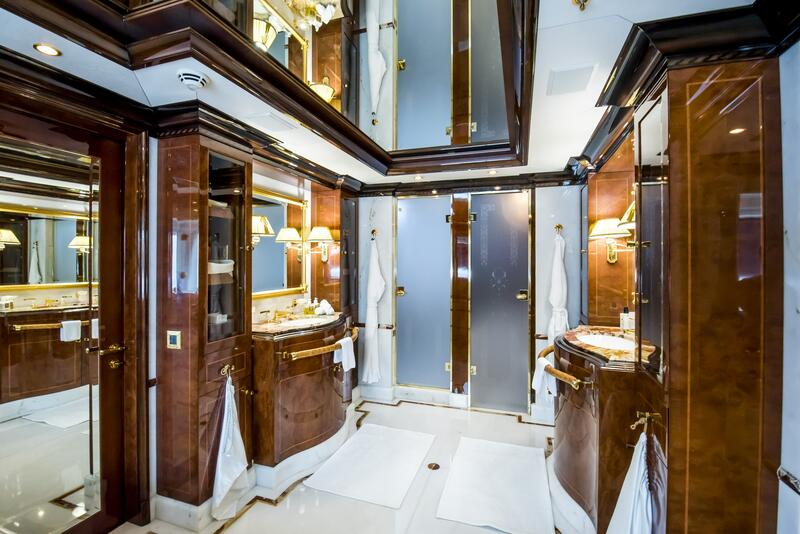 Each stateroom onboard has an en-suite facility. 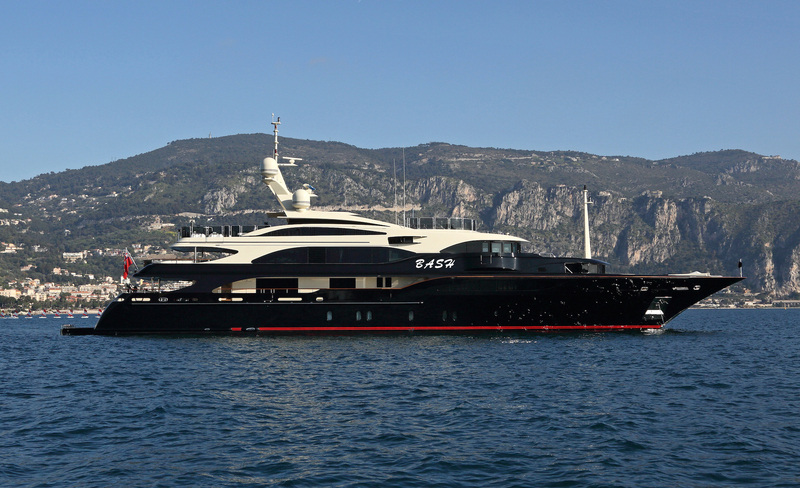 BASH has a fantastic teak beach club for easy access to the water and the exceptional array of water toys. 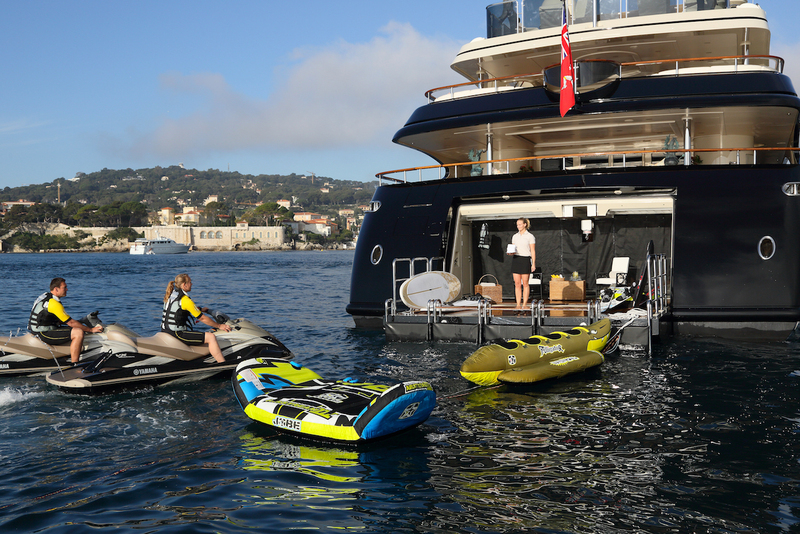 The toys include 3 three seater jetskis (including 2 lightweight Seadoo Spark Trix) and 1 stand up jet ski, 4 Seabobs, plus a full complement of diving and snorkelling gear. 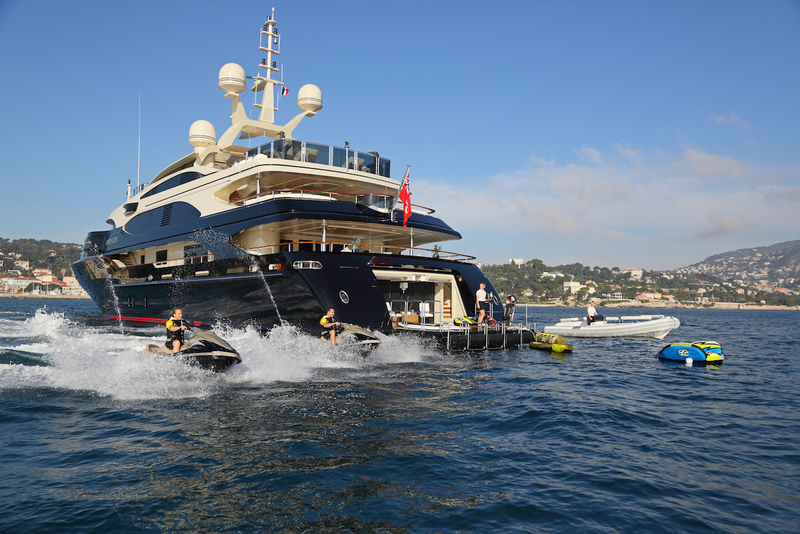 For more adrenaline, a 9.4m curved slide can be attached to the upper deck, plus a 5m pool and jet ski dock extending from the Beach Club, to create a fully contained water sports centre, with its own training certification to allow beginners to enjoy all the facilities fully.